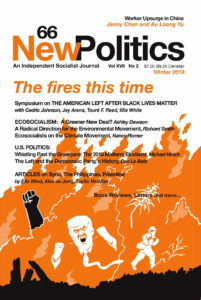 Algeria is experiencing a popular uprising that is unprecedented since the proclamation of national independence. Since 22 February 2019, following calls launched on the Internet, large rallies, with a massive presence of women, have been organized in all cities, followed by workers and young students. The trigger for this powerful popular anger was the obstinacy of the government in keepng Abdelaziz Bouteflika as President of the country for a fifth term – when he has already spent 20 years in office – by expanding his powers through successive amendments to the Constitution. The government’s desire to impose a very sick old man as nominal president is strongly felt as contempt for the people, and in effect as a transfer of his prerogatives to a behind-the-scenes faction. This contempt has unleashed decades of pent-up anger against the policy of looting national wealth, dismantling the public sector, increasing domestic public debt, and further repression of democratic freedoms. 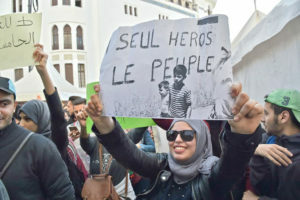 The popular response was expressed on 16 March 2019 at the largest demonstration of millions of Algerians throughout the country, calling for the rejection both of President Bouteflika’s continuation in office after the end of his term and of the clique behind him. Originally posted at International Viewpoint.